We hope you and your family are safe after the impact of Hurricane Irma. 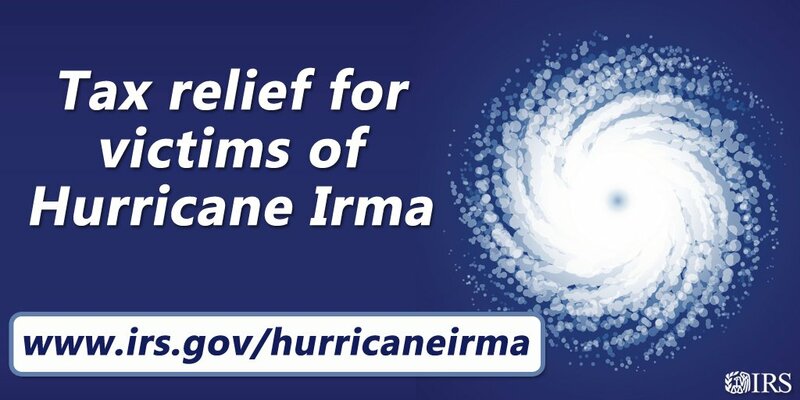 FHTS wants to keep you updated on tax issues that Hurricane Irma has presented. Florida has been federally declared a disaster area, what does that mean to your taxes? 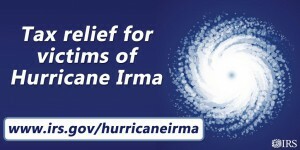 The IRS grants extensions for victims of the storm until January 31st, 2018. Extension does not apply to the payment of taxes which were originally due. Please see the full IRS announcement for more details, and feel free to contact us directly to go over how this extension may affect your return.